California Choices, a collaborative effort by Next 10 and IGS at UC Berkeley, has been designed to equip Californians with a better understanding of what issues our state is facing and what options we have to create a better future. 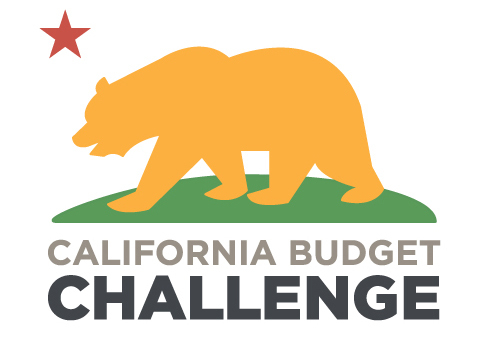 Next 10 created the California Budget Challenge in 2005 to educate citizens on the state budget and the tradeoffs that are made to bring the budget into balance. Try your hand at this nonpartisan online budget simulation that lets you decide both how much to spend on schools, prisons, health care and other state programs, as well as how to pay for those programs. The California Water Challenge simulates some of the tough decisions Californians face in attempting to meet the increasing demands on its limited water supplies. Now in the fifth year of a statewide drought, municipalities across California continue to struggle with options to help manage supplies. The California Water Challenge lets you decide how to bring the state's water supply and demand into balance. The California Carbon Challenge simulates some of the difficult choices policymakers face in working to address climate change. In 2006, California passed the Global Warming Solutions Act (AB 32) which requires California to reduce its emissions of CO2 and other greenhouse gases (GHGs) to a specified target by the year 2020. The California Carbon Challenge lets you decide how to reach that target. While some decisions have already been made by state officials, you can experiment with a variety of policy options to see how different choices may have impacted the state goal. How will you reduce California’s greenhouse gas emissions? Compare50.org allows users to display trends on the performance of one state’s economy over time, as compared to other states, and to the United States as a whole. This interactive tool contains data on more than 150 social and economic indicators, including cost of living, unemployment rates, state tax revenue, education outcomes, renewable energy usage, crime rates, venture capital investment and more – providing endless opportunities to compare and learn from trends across the U.S. Produced by Next 10 and the Concord Coalition, the Federal Budget Challenge allows users to try their hand at balancing the federal budget. The United States faces an unsustainable mismatch between spending commitments made by the federal government versus what the government is actually projected to bring in through tax revenue. Reducing projected deficits over the next 10 years could go a long way toward helping the country get its fiscal house in order while changes to long-term budget plans are phased-in. This is your turn to choose policy options that will do just that. Are you up to the challenge?